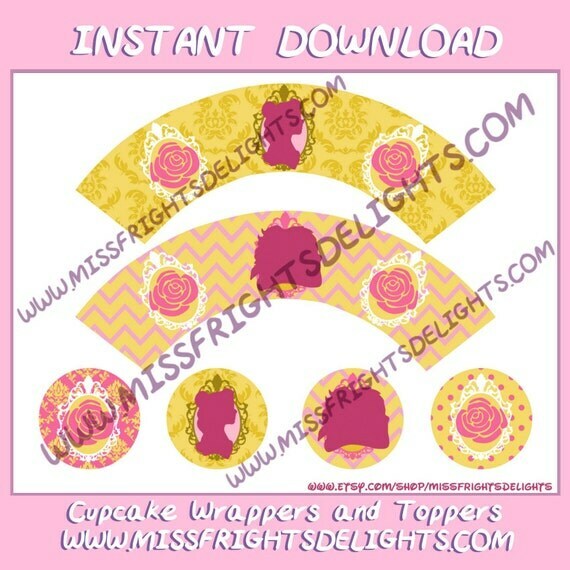 Beauty and the Beast Printable Cupcake Kits – Print cupcake wrappers and cupcake toppers of your favorite Princess Belle and her friends! 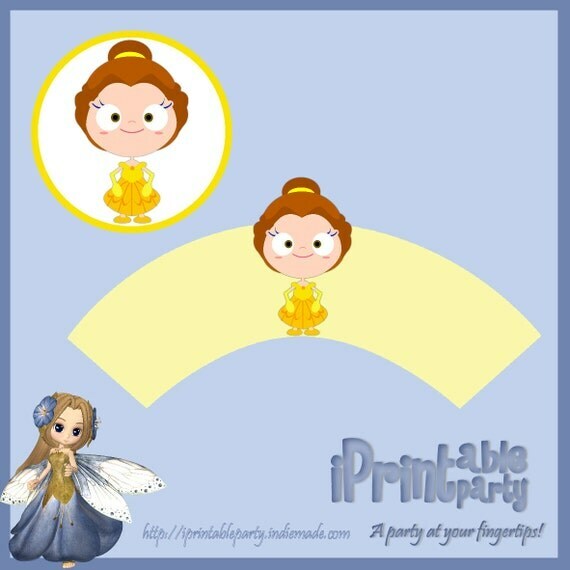 Every Princess knows that the true magic of a party is in the little details, so why not add that extra sparkle to your little Prince or Princesses special day with our Beauty and the Beast themed printables! Colours and sizes may differ due to individual printer settings and papers used. Dress up those boring cupcakes with these super cute wrappers and toppers. Instructions are included but it’s pretty easy. Print your wrappers and toppers onto 250gsm card, cut and using a glue stick and double sided tape – secure.